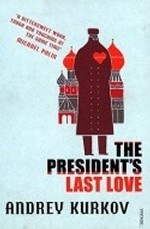 Аннотация к книге "The President`s Last Love"
Moscow, 2013. Bunin, the Ukrainian President, has joined other heads of state in an open air swimming pool to drink vodka and celebrate with Putin. During his rise to power Bunin has juggled with formidable and eccentric political and personal challenges. His troubles with his family and his women combine with his difficulties with corrupt businessmen and demanding international allies, but it is his recent heart transplant that worries him most. Since the operation he has started to develop freckles, and his heart donor`s mysterious widow seems to have moved in with forty years, "The President`s Last Love" is a hilarious satire on love, lies and life before and after the Iron Curtain.